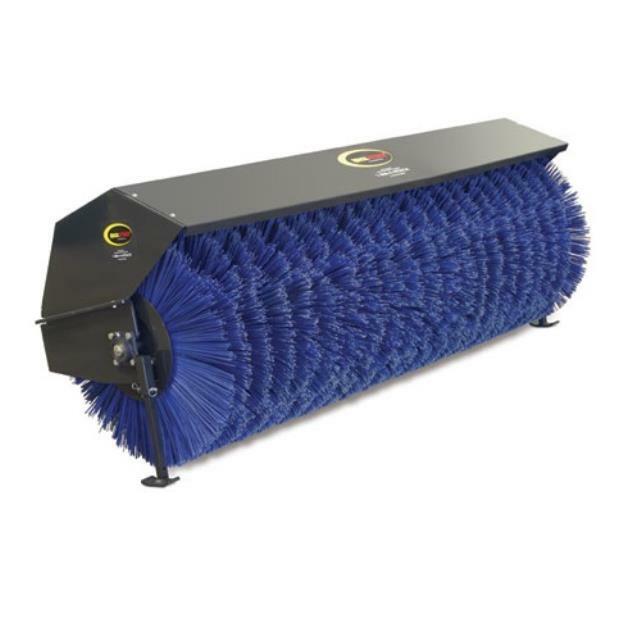 The mini skid steer sweeper attachment has poly/steel bristles and is ideal for clean up. This unit fits the traditional mounting set up found on common mini skid steers made by Ditch Witch and Toro. It works well on our 3000# class mini skid steer.